An antique marks glossary of antique terms T covering everything from table to tin glaze to tyg. Here you will find antique terms and words beginning with T.
Japanese tobacco pouch which was hung from a kurawa (ashtray) netsuke. A tabako-bon is a tobacco cabinet, also known as a tabako-dansu, which has drawers for tobacco, a metal or china container for charcoal, and hooks for hanging a kiseru (pipe). 19thC examples are often decorated with lacquer. A kiseru’zutsu is a pipe holder. A 17thC term for silk taffeta with a changeable surface finish like shot silk. Also — a basic weave in which the warp thread is woven alternately over and under each weft thread. A German clock of the renaissance period in the form of a turreted tower, often with a dial on each of the four vertical sides, and with a balustraded gallery top containing hour and quarter-hour bells. Most German town guilds in the 16th and 17th centuries required an apprentice to make a tabernacle clock, with many additional astronomical and calendar dials, as a masterpiece clock before qualifying as a master clock-maker. A spring-driven clock set within a flat-based case of metal or wood. The dial is either on the upper or front surface, sometimes with subsidiary dials on the sides and back. 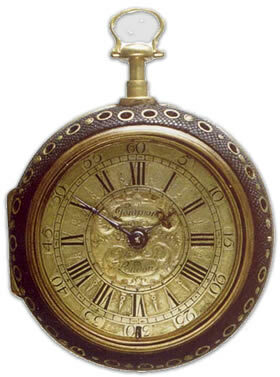 Table clocks were first made in France and Germany in the 16thC. British bracket clocks and mantel clocks fall into the table clock category. The process of shaping a gemstone to give it symmetry, and enhance its brilliance, beauty and value. The resulting shapes are either in smooth cabochon form or with many facets. Diamond and precious-stone cutting is said to have begun in Belgium in 1475. See box abovecutting. Fine tabby weave silk fabric used in Britain since the 14thC, and especially from the i6th to 17th centuries, for cushion covers, counterpanes and curtains. From the 17thC, taffeta was stretched and a gum-like substance applied to give a glossy, watered finish. Taffeta is a crisp, smooth woven fabric made from silk or synthetic fibers. The word is Persian in origin, and means "twisted woven." It is considered to be a "high end" fabric, suitable for use in ball gowns, wedding dresses, and in interiors for curtains or wallcovering. There are two distinct types of silk taffeta: yarn-dyed and piece-dyed. Piece-dyed taffeta is often used in linings and is quite soft. Yarn-dyed taffeta is much stiffer and is often used in evening dresses. While silk taffeta has been classically woven in Italy and France and until the 1950s in Japan, today most silk taffeta is produced in India. Originally this was produced on handlooms, but since the 1990s, it has been produced on the most modern looms in the Bangalore area. From the 1970s until the 1990s, the Jiangsu province of China produced some fine silk taffetas. They were less flexible than the Indian mills that now dominate production. Other countries in Southeast Asia and the Middle East are weaving silk taffeta, but not yet either at the quality or competitiveness of India. The most deluxe taffetas are still woven in France, Italy, and the United Kingdom. On November 4, 1782, taffeta was used by Joseph Montgolfier of France to construct a small, cube-shaped balloon. This was the beginning of many experiments using taffeta balloons by the Montgolfier brothers, and led to the first known human flight in a lighter-than-air craft. The fabric has been known since at least the Renaissance period. William Shakespeare mentions it in Twelfth Night (Act II: Sc IV), before the Clown’s exit: "Now, the melancholy god protect thee; and the tailor make thy doublet of changeable taffeta, for thy mind is a very opal. Architect and furniture, metalwork and wallpaper designer. Talbert’s furniture is simple and functional – a reaction against the overly elaborate gothic revival. It is bulky but practical and well-proportioned, and decorated with panels of lighter wood, tiles, Gothic tracery or shallow carving. Talbert published an influential pattern book in 1867. In the early 19thC, dolls that could say ‘mama’ or ‘papa’ were developed in Germany by Johannes Malzel of Regensburg (the sound was produced by a bellows when the limbs were moved), and in Britain by Anthony Bazzoni of London. Some talking dolls dating from the late 19thC contained phonographic wax cylinders. High chest comprising one chest on top of another, with seven or more full-width drawers and a top pair of half-width drawers. The top chest is generally slighlty narrower than the lower one. Tallboys, also known as chests-on-chests, were introduced in the early 18thC and derived from the chest-on-stand – a chest of drawers on a stand like a lowboy. A flexible shutter used for roll-top desk lids and sliding doors for cupboards. Tambour covers are made from narrow slats of wood glued to a canvas or linen backing and were developed in France in the 15thC. Also – a pair of wooden hoops that form a frame to hold embroidery while it is being worked on. The resulting design, stitched in a continuous line of cross-stitches, is known as tambour work and was used to decorate white muslin dresses and accessories, c1780-1850. Long shank on sword blade to which the hilt is fitted. Drinking vessel with handle for beer, ale or cider. The earliest surviving tankards from the 16th and 17th centuries retained the same basic form – straight, tapering sides with S-shaped handle, rectangular thumbpiece and a hinged lid – until lidded tankards went out of use in the 18thC. Open tankards or mugs were used from the 19thC. Decorative stand, case or box for cut-glass decanters, fashionable from the mid-19thC until the Edwardian period in Britain. The lockable Tantalus was first seen in England around 1870. The word tantalus comes from the word tantalise. They were first used in many of England’s grandest houses. 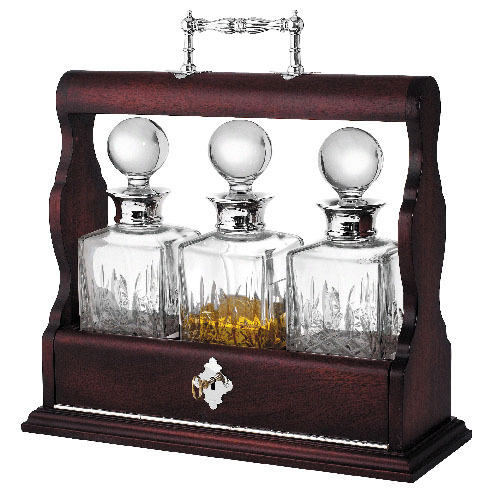 The Tantalus allowing the home owner a means of locking away their finest brandy and other sprits from the eager attention of their butlers, who often helped themselves to a tipple after the master retired to bed. Light Scottish circular shield made of wood and leather with central boss, used 16th to 18th centuries. Small, shallow bowl or cup for wine-tasting. The French version has a single ring handle and is often attached to a chain or ribbon worn around the neck. The 17thC British version has two scroll handles. Georgian wall timepiece with a weight-driven movement, which was developed c.1720 and made into the early 19thC. The large dial is unglazed and the trunk below it houses the weights and a seconds-beating pendulum. The clocks were also known as Act of Parliament clocks, after a 1797-8 Act which taxed clocks and timepieces. This supposedly resulted in private owners putting away their clocks and relying on public clocks. The Act was soon repealed, following a petition from clock-makers. Italian for ‘cup’, originally the name of a shallow drinking vessel used in 16th and 17thC Italy. It later came to refer to other shallow or virtually flat dishes raised on a central stem also known as comports. Small, tapering circular cup without a handle and sometimes with a saucer, for drinking tea. The first European examples were based on the Chinese tea bowl and made in silver from the late 17thC and in ceramics and glass during the 18thC. Box or casket with a hinged lid and lock used for storing tea leaves. Caddy is derived from the Malay kati, a unit of weight for tea. When tea was first introduced to Britain in the 17thC it was stored in porcelain jars, also known as caddies, which were imported from China. Tea was very expensive in the 18thC and kept in lockable silver or wooden caskets, originally known as tea chests. By the end of the century the name had changed to caddy. Pottery such as bowls, water jars, tea caddies (natsume), charcoal burners (hibachi), incense boxes (kogo and kobako), utensil box (satsubako) used for the traditional Buddhist tea ceremony. In Japan the ceremony is known as cha no yu (hot water for tea). Much Japanese tea ceremony ware, such as raku ware, is rough, irregularly shaped earthenware, in keeping with the simple origins of the ritual. Large vessel resembling a teapot made for holding hot water, produced in ceramics, silver and sheffield plate from the early 18thC and electroplate from the mid-19thC. The kettles usually had a matching tripod stand and spirit lamp. The tea kettle was superseded by the tea urn c1760, but was revived in the 19thC. Small, lightweight, easily moved table. tripod tables were replaced by four-legged examples with a galleried or tray top towards the end of the 18thC, and these were also known as silver tables or china tables. Some versions have a fold-over top -rather like a card table without the refinements for games. Large, pear-shaped, lozenge-shaped or spherical hot-water um with two handles, a domed cover with finial and a spigot and tap. Some examples have a red-hot iron inserted into a central tube in the body of the urn, others are heated by a spirit lamp. Tea urns were made in silver, electroplate, copper, japanned metal or porcelain, largely replacing the tea kettle from the 1770s to mid-19thC in Britain and Europe. Greenish-brown glaze popular on Chinese 18thC porcelain. Known as cha ye mo, it was achieved by blowing green glaze powder through a fine gauze onto a brown glaze before firing. One of the hardest, strongest and most durable furniture timbers of all. True teak is from India and Burma, but other similar woods are wrongly called teak. It is usually golden-brown in colour and darkens with age to medium and deep brown, sometimes with dark markings. It is slightly oily and smells leathery. It is so hard that cabinet-makers often charged a higher price to cover the costs of the extra work involved and the repair of blunted tools. Teak was used sparingly in the 18th and 19th centuries for table tops, chairs, chests, and campaign furniture. Covered vessel, generally of silver or ceramics, used for infusing and serving tea, and made in several different styles and sizes. Tea was first imported to Britain in the second half of the 17thC. Teapots are generally shorter and rounder than coffee or chocolate pots, and the spout, which is always opposite the handle, is positioned nearer the bottom of the pot. punchpots closely resemble teapots although they are usually much larger. Small tripod table which was introduced in the early 19thC. From the 1820s, the table top was replaced by a wooden box which was used to store tea. Also : Large, earthenware or porcelain tea caddy. Instrument for magnifying distant objects, invented in the early 17thC, and consisting of telescopic wooden or metal tubes containing lenses. Black or dark brown glaze found on Chinese 10th- 13thC (song dynasty) stoneware. The ware was also made in Japan for use in the tea ceremony. The glaze, when streaky, is known as a hare’s fur glaze. Painting medium consisting of powdered colour pigments, egg yolk or egg white and water; used for panel painting until the 15thC when it was superseded by oil paint. Small diagonal stitch that spans one mesh of canvas or other material, worked in horizontal or diagonal rows. The name, translated from the Italian as ‘baked earth’ for a low-fired unglazed earthenware. The clay used is often rich in iron and therefore fires brick-red. A vogue for Classical Greek style c. 1860-80 prompted British factories to produce terracotta wares, including wedgwood, minton, doulton and Torquay Potteries. Terracotta has been used for a wide range of wares – from figures, plaques, candlesticks and vases to garden urns and flowerpots. Terracotta can be made with a slightly glossy surface and is suitable for painted decoration without any need for subsequent glazing and firing. The body is usually left unglazed, but some practical pieces such as jugs are glazed on the inside in order to make them waterproof. A wooden canopy over a bedstead, chair or pulpit. The tester is supported on four posts, or on two posts and a back panel or headboard. See bedstead. British silver portrait coin issued by kings Henry VII and Henry VIII, with a face value of 5p (12d), later known as the shilling c1550. Optical toy, developed in the late 1820s, consisting of a card or disc with two different figures drawn on each side. When it is rotated the two figures appear to combine into one. Also – Cylinder bearing a series of figures on the inside and a series of slits on the outside. The figures are viewed through the slits and when the cylinder is rotated appear to be moving. The effect is similar to that produced by a zoetrope. Wooden stool with a thonged leather or wooden seat based on an Egyptian design and introduced by liberty in 1884. Surveying instrument for measuring vertical and horizontal angles, invented in 1571 by a British mathematician, Thomas Digges, but developed by engineer Jesse Ramsden c.1790. It incorporates a small telescope which moves horizontally and vertically, and often a magnifying lens and spirit level. Austrian furniture-makers established in Vienna c1842, that specialised in bentwood furniture. The bentwood technique perfected by its founder Michael Thonet (1796-1871). Furniture was exported to the USA and Europe, especially after mass-production techniques were introduced in 1859. By 1871 Thonet Brothers was the largest furniture-making firm in the world. The company changed its name to Thonet-Mundus in 1923, producing tubular steel chairs designed by Marcel breuer, Ludwig mies van der rohe and le corbusier among others. The Thonet Brothers, thanks to an Imperial patent, dominated European production of bentwood furniture in the mid-19th century. After their patent expired in 1869, the Kohn Brothers company became a serious rival. From 1900 both firms manufactured designs by leading architects like Josef Hoffmann, as well as imitating their style. The economic slump that followed World War I forced the two firms to merge in 1922. Thonet continues to produce bentwood, moulded plywood and tubular steel furniture today. Threads of molten glass used to decorate glassware, similar to, and often referred to as trailing. Threads or trails of glass are applied onto the glass body when it is still in its molten state, and can then either be left raised on the surface or rolled into the glass body. Metal knob or lever, also known as a billet, on the lid hinge of a vessel, allowing it to be opened with the thumb while holding the handle with the fingers. Soft, close-grained, reddish-brown wood with a mottled figuring, imported from Africa and the USA and sometimes seen in veneers and inlaid decoration. Leading American jewellery firm founded 1837 in New York by goldsmith Charles Tiffany (1812-1902). The firm gained an international reputation for jewellery, especially diamonds, watches, gems and silverware. It introduced the sterling standard to the USA in 1850, which was later legalised for American sterling silverware. In 1886, Charles Tiffany designed the Tiffany setting with curved prongs to secure a solitaire diamond to a finger ring. Charles’s son, Louis Comfort Tiffany (1848-1933), founded an interior design company in New York in 1879 which later became Tiffany Studios. 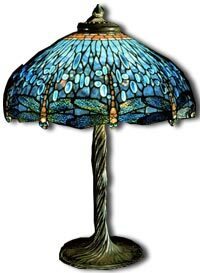 In 1880 he patented favrile glass and for the next 20 years produced art, mosaic and stained glass pieces as well as art nouveau vases, bowls and lamps with glass shades. From 1902 he concentrated on jewellery, and also produced pottery and designed furniture, wallpapers and fabrics in art nouveau style. Tiffany studios closed in 1932, but Tiffany & Co still operates. Decorated ceramic slabs for roof, wall or floor decoration. maiolica tiles of 15thC Italy were designed for flooring, but their bright colours inspired Spanish and Portuguese pictorial wall tiles. The Dutch produced monochrome blue and white or manganese purple and white wall tiles which were exported throughout Europe from the 17th to 19th centuries. Key centres for decorative tiles in Britain were bristol, lambeth and liverpool from the late 17thC, and in France, rouen, nevers and Lisieux. In Germany and other parts of central Europe, tiles with incised or relief designs, covered with a green, yellow or brown lead glaze were made by the Hafner (stove-makers). Demand for decorative tiles fell in the early 19thC, but revived in the mid-century. The British output came from Staffordshire potteries, particularly minton. The medieval technique of making encaustic tiles, in which tiles are inlaid with clays of contrasting colours and fixed with heat, was also revived. At the end of the century glazed tiles were made in arts and crafts, aesthetic and art nouveau styles. Locking compartments for keeping money, fitted into a medieval chest or casket – the forerunner of the drawer in a chest of drawers. Any timekeeping device, generally used to indicate one that does not strike the hours or quarters. Initials or trademarks used by the most important makers of mechanical toys from the late 19thC. Some companies such as Bing, Carette and Günthermann, changed their marks from time to time, making accurate dating possible. Trademarks were applied in a variety of ways: stenciled or rubber-stamped on the body; applied as a transfer, a printed tin-plate lozenge or embossed brass plate; or impressed directly onto the body of the toy. Wooden or metal box used from the 15th to 19th centuries for keeping tinder for fire-making. The box may be pocket-sized or larger for household use, and also contained a flint and steel for making sparks and sometimes brimstone matches for transferring the flame. Some 16thC boxes have a wheel-lock mechanism for producing sparks. Earthenware coated in an opaque white-ground glaze. The addition of tin oxide to a basic lead glaze resulted in an impermeable, more refined, white surface than previously achieved in the West. Tin glazes were used almost exclusively on earthenware, but were occasionally used by porcelain-makers to whiten a cream body, such as at chantilly c1730 and chelsea c1745. Tin-glazed earthenware was first made during the Mesopotamian civilisation, c1000bc, but did not reach western Europe until the 8thC, when Moorish invaders introduced the techniques to Spain (see hispano-moresque ware). Tall, slender-bowled wine glass with a very slim stem used for drinking a toast, and made in Britain c1725-1800. Its capacity is 2-4fl oz. A toastmasters glass dating from c1725-50, is similar but has a thickened base and sides allowing a capacity of only ½-¾ fl oz (15-20 ml), to ensure that the toastmaster remains sober and coherent. Earthenware jug shaped like a figure, usually a seated stout man in 18thC dress wearing a three-cornered hat. Recognisable Toby jugs were first made c. 1760 at Burslem, Staffordshire by Ralph Wood. Some female versions are known as Martha Gunn. Basic dress pattern made of muslin. Also — Linen cloth, or in the late 19thC, a fabric of silk and linen. Also — The pattern of a piece of bobbin lace. Also — Toile du Jouy is a printed cotton fabric made in France in the late 18thC, usually printed with romantic, figurative scenes in either red or blue on an ivory ground. Name from the French tôle peinte (‘painted tin’) for small objects of hand-painted tin-plate such as boxes, trays and coffee mills. The technique originated in France c. 1740. Toleware was mass-produced from the 1760s into the 19thC in Birmingham and elsewhere in Britain. British clock and watch-maker who is recognised for his outstanding mechanical skills and craftsmanship. Thomas Tompion (1639-1713) was an English master clockmaker and watchmaker. He is known today as the father of English watchmaking. Work or ornamentation done with tools; especially stamped or gilded designs on books or leather. Precious gemstone, ranging in colour from white through to sherry-brown and blue. Orange-red varieties are the rarest and most highly prized. Pink or rose topaz is the result of heat treatment applied to yellow topaz. Topaz is hard and polishes well, but it is highly susceptible to cleavage or splitting. 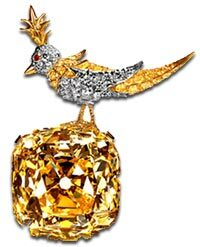 It is usually cut as ovals or oblongs and is often confused with the abundant and less valuable citrine. The watchmaking equivalent of the back plate in a clock, so-called because a watch movement is assembled face down. Portable stand for a candle, also known as a candle-stand. Torchères, can be in the form of standards to place on the floor or, especially from the mid-18thC, small enough to be set on a dressing or writing table. Dark brown, mottled shell of certain species of sea turtle which can be moulded by heating, and thickened or enlarged by joining pieces together under pressure. It was especially popular for inlaid decoration on English and French furniture in the 17th, 18th and early 19th centuries (see boulle) , and for jewellery inlaid with piqué work in Britain in the 1860s. tortoiseshell glass Mottled brown art glass developed in Europe and the USA c. 1880. It is made by rolling a gather of clear molten glass over broken pieces of brown glass, adding a yellowish-brown stain. A pierced coin hung from the neck of a supplicant at a touching ceremony. A piece touched by the monarch was thought to be a guard against disease. 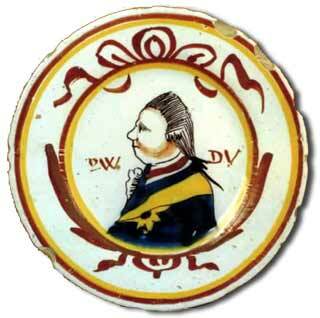 The leading porcelain factory of the Low Countries, from its foundation in 1751 to the end of the 18thC. It produced soft-paste porcelain tableware very much in the style of French porcelain of the time, particularly that of sèvres. Exotic birds, naturalistic flowers and pink monochrome landscapes are characteristic themes. Some of the figures made, particularly those left ‘in-the-white’, are similar to derby figures. In the 1790s, the factory merged with the nearby St Armand-des-Eaux which made reproductions of 18thC porcelain while Tournai made household wares until the mid- 19thC. architectural term dating from the 17thC and used to refer to the carved, ornamental stone openwork which decorates the top of a Gothic window. It is also found on vaulted ceilings, doors and panels. Tracery was used extensively during the first half of the 19thC on the backs of chairs and hall seats. In clocks and watches, the series of wheels and driving pinions linking the source of power (a weight or a spring) to the hands, the strike or other end-function. A clock or watch may have a single ‘going train’, or may also have a striking, musical or alarm train. See box below. A method of printing onto solid objects such as ceramics and glassware which made the mass production of designs possible for the first time. Invented in Britain in the mid- 18thC, it was not used widely in continental Europe until the 19thC. The process involves taking a tissue print from a copperplate engraving, and transferring this to the receiving object. In ceramics this can be either over or under the glaze. Designs were initially monochrome, sometimes coloured in later. Multicoloured transfer-printing did not become established until the 1840s. A form of transfer-printing called bat-printing was used in Staffordshire in the early 19thC. 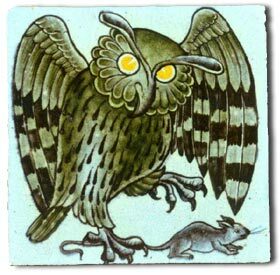 The designs were transferred to the glazed earthenware by means of a flexible sheet – or bat -of glue or gelatine. Chinese porcelain, mostly blue and white, produced in the Transitional Period (c. 1620-80) covering the last two decades of the ming dynasty and the beginning of the qing dynasty. Imperial orders disappeared with the internal warfare following the fall of the Ming dynasty and were only partly replaced by orders from the scholar-gentry class. This move is reflected in the proliferation of wares for the writing table such as cylindrical brush pots and in painted decoration depicting more expansive landscapes and everyday rather than imperial scenes. Exports to the West were limited and were mainly of kraak porcelain. The term for the degree to which a substance such as porcelain or glass allows light to pass though it (thickness permitting) and the quality or colour of that light on passing out of the body. Derived from an old word for ‘wooden’, the term refers to small domestic articles made of turned or carved wood, such as bowls, platters and spoons. An item of jewellery such as a brooch, aigrette or pendant with an ornament – a flower or bee, for example – on a coiled spring which trembles when the wearer moves. Silver or ceramic cup and saucer, fashionable in the 18thC, with a central raised ring in the saucer to hold the cup firm. An experimental coin, banknote or stamp, possibly of unfinished design, and often struck or printed on a material different to that intended for circulation. French caricaturist and designer of jewellery, furniture, textiles and other interior furnishings. Tribe began working in a flowing art nouveau style, but his later, simpler forms influenced the art deco movement. He is noted for well-upholstered furniture with fine carving or inlaid woodwork. In the early 1900s. Tribe worked with French fashion designer Paul Poiret and from 1914 for American film director Cecil B. De Mille. In 1930 he went to Paris and made jewellery for Coco Chanel. Term used to describe a small, 19thC French work table with a rail bordering the edge. The term is from tricoteur ‘knitter’. Small-topped table supported on a slender pillar and a tripod of outward-facing feet. These were popular occasional tables and for serving desserts and tea in the 18thC Georgian period. Some versions have a top that snaps or folds down vertically over the supporting pillar. See birdcage. Wrought-iron stand with three or four legs on which to place pots or kettles taken from the fire. Decoration on a flat surface that appears three-dimensional. The term is French for ‘deceive the eye’. Traditional weighting system used by goldsmiths, silversmiths and jewellers from 1526. The name comes from the town of Troyes, France, and was probably brought to Britain by Henry V, c1420. The basic unit is the troy ounce (oz), divided into 20 pennyweights (dwt); 12 troy ounces make one troy pound (lb). The troy ounce is the unit of weight traditionally used for precious metals such as platinum. The troy ounce (troy oz) differs from the more common ounce (oz) used in the U.K. and U.S.A., being slightly heavier, with 1 troy oz = 1.097 oz. The troy system of weight is named after the city of Troyes in France, and was widely used in Europe during the Middle Ages. It fell into disuse when other systems began to be preferred, continuing to be used only in the highly specialised fields of precious metals, gems and medicines, up to the nineteenth century. Today troy weight is only used for the trading of precious metals and gemstones. A clock similar in design and appearance to the cuckoo clock, but with a model military bugler sounding a trumpet on the hour or quarter hour. The trumpet sound is operated by bellows. Another variant on the theme is a clock with mechanically played drums. A tsuba is the sword guard of a japanese katana or tachi. Its primary purposes are to balance the sword, prevent your hand from sliding down the blade and, as a last resort, as a block against a thrust or slash. 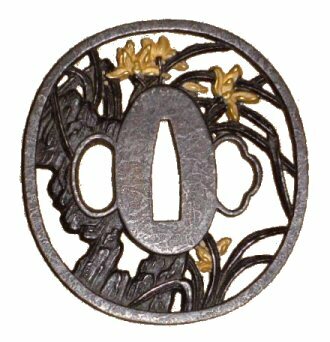 However, as time and skills developed the tsuba evolved into an artistic item and a status symbol. Over the years, artists used many different metals. They manufactured tsuba from copper, yamagane (a dark impure copper), brass, sentoku (a yellowy or dark brown brass), iron, shakudo (a mixture of copper, gold and whatever else was available which resulted in a purplish black patina) and shibuichi (literally meaning 4 parts, it is usually composed of silver -the constant and copper, tin, lead or zinc. A harder alloy than shakudo it has a silvery grey appearance when pickled. 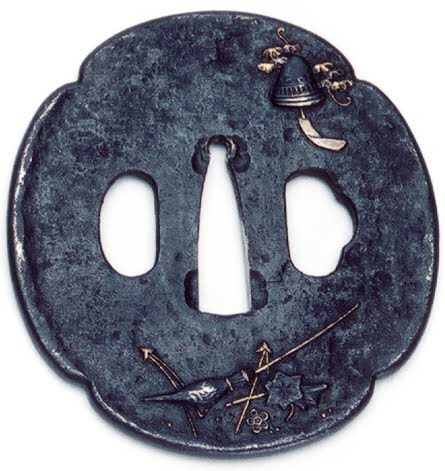 Although iron was used early on, it re-emerged later as artists, such as Goto Ichijo, rebelled against the overly ornate and structured forms of tsuba that had devloped. A tsuba can take many forms. It can be circular, kobushi (fist shaped), mokko (4 lobed), aoi (an outline suggesting the leaves of the mallow) or just plain irregular. See: Slip Ware Ceramics and Trailed Slip. Trade name for table and decorative ware of pewter marketed by the London retail store liberty during the early 20thC to accompany its cymric silver range. Many of the Celtic-inspired art nouveau designs were created by Archibald Knox (1864-1933). Hard, heavy wood, yellowish-brown with a pinkish tinge, from Central and South America. It was used for decorative veneers and banding during the 18th and early 19th centuries, especially on 18thC French furniture. The most common type of Indian sword, usually single-edged and often curved. The hilt is entirely metal with a flat disc-like pommel. Flat-based drinking glass with neither stem, foot nor handle. Tumblers are variously shaped and sized, but unlike beakers never have a flared mouth. In the 17thC, heavy metal tumblers with curved sides were designed to tumble back to an upright position if set down awkwardly. Articles such as trays, table tops, tea caddies, picture frames and games boards, decorated with a low-cost, mass-produced marquetry developed at Tunbridge Wells, Kent,in the mid-17thC. Rectangular-section rods of various woods were glued together then cut across in thin slices to produce a multi-coloured veneer. A similar technique was used in the 19thC for small stickwork articles, such as egg cups, turned on a lathe. Circular or oval, deep, covered bowl of porcelain, pottery, silver or silver plate, made from the early 18thC for serving soup, sauce, vegetables or stew. Sauce tureens are smaller, plainer versions. An exotic furnishing style developed in mid-19thC Britain for the comfort of smokers. It drew inspiration from Middle Eastern themes probably because Turkey was associated with fine tobacco. The characteristic elements include fretted and arcaded woodwork; small four, six or eight-legged japanned tables inlaid with mother-of-pearl; upholstered chairs incorporating a panel of Oriental carpet; pierced brass incense burners and lamps. At first, the style was confined to the smoking room, but in the 1880s, as smoking became more widely tolerated, the Turkish corner became a popular feature in the drawing room. It centred on a high-backed corner divan seat with an Eastern-style canopy and frame. The shaping of wood and other materials such as metal and ivory on a lathe. The material is clamped onto the lathe and rotated, or turned, at an even rate while the craftsman shapes it by cutting or filing, so producing a symmetrically carved object. Wood turning has been a principal decorative effect on furniture since medieval times and developed particularly during the late 16th and 17th centuries. Different woods are more or less suited to turning but the introduction of high-speed, power-driven lathes in the 19thC enabled virtually any wood to be turned in a greater variety of shapes, and with a more uniform and symmetrical result than that achieved by the hand or foot-operated lathe. Blue-green gemstone widely used, cut en cabochon (see jewel cutting), in 19thC jewellery. Turquoise probably takes its name from the French for Turkey, from where it first reached Europe. The bluer the colour the more prized the gem – the best-quality stones come from north-east Iran. A clock with its dial on the outside wall of a building and its movement inside. Fabric in which the weave forms diagonal, herringbone or diamond lines. The weft passes over two or more, and under one or more warps. Form of decoration in the stem of a drinking glass, popular in the second half of the 18thC and revived in the 19thC. White or coloured glass rods are trapped in the glass while it is still in a molten then twisted. An air twist is a twisted air channel in the stem.